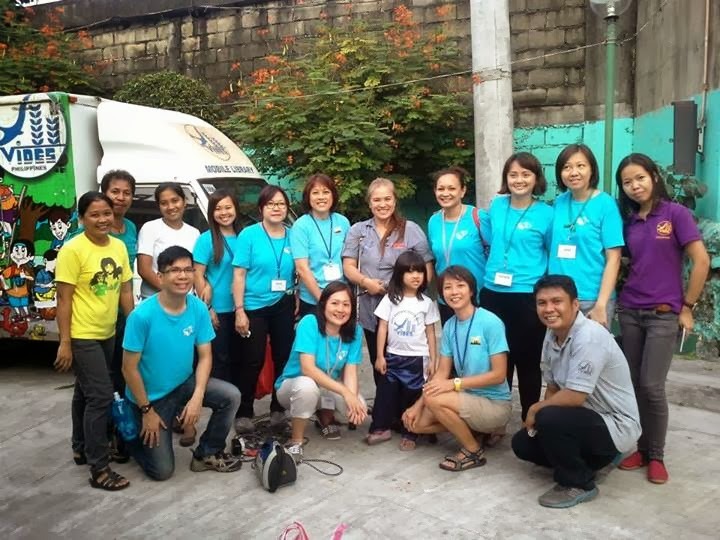 Ten volunteers from A Call To Share (ACTS) Singapore visited the Busina Mo, Dunong Ko areas of Recto, NIA Road, South Triangle, and Pasay from December 10 to 13, 2013. 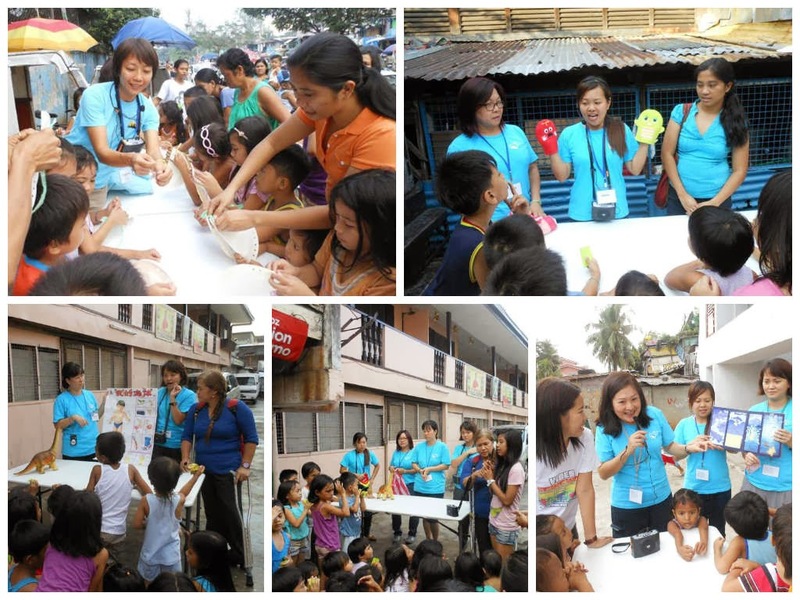 They gave the kids entertaining lessons in science and arts. 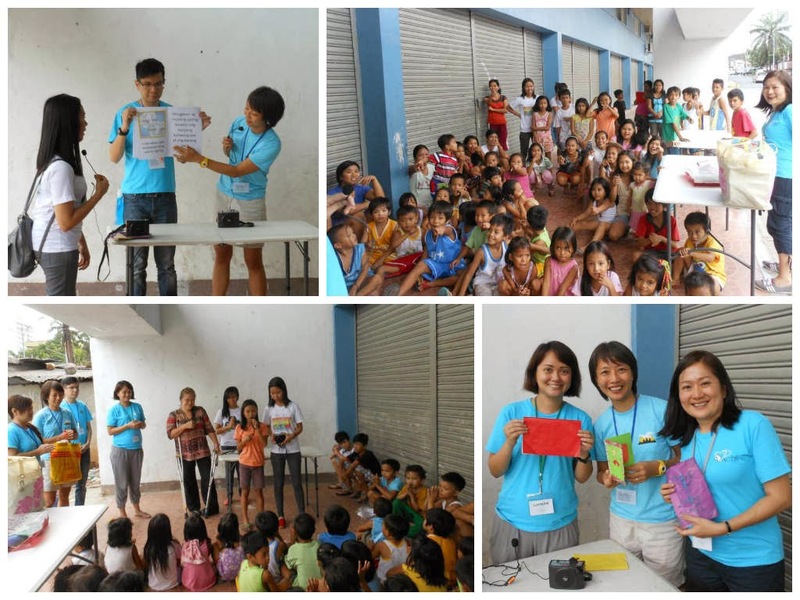 Our Singaporean friends conducted storytelling sessions and taught the children and some mothers how to make paper puppets and colorful bead necklaces. They also taught the kids fun facts about dinosaurs. 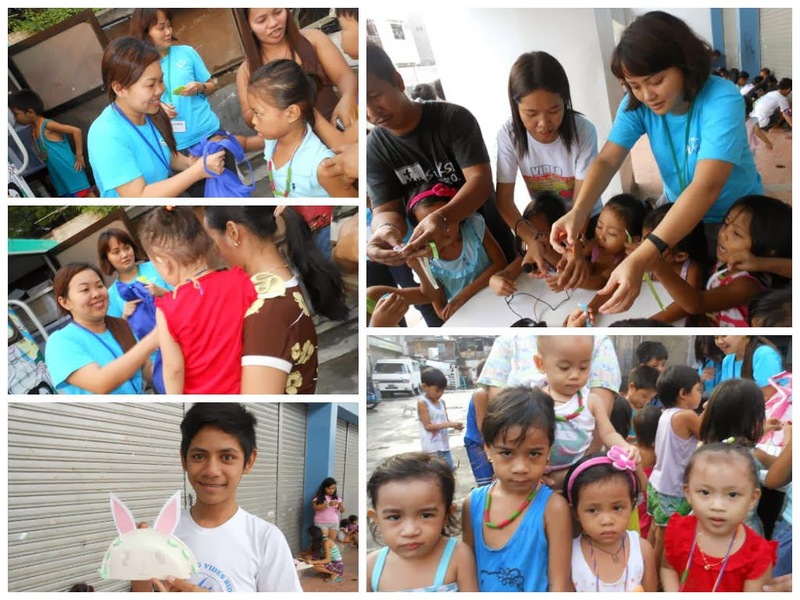 The fun activities were capped by the distribution of gift bags and toys to the BMDK children.